No doubt, champagne is one of the famous and enjoyable drinks for many special occasions. However, the myth of champagne resulting in hangover has been far-reaching for many years. But is it true that this sparkling wine causes a hangover? If it does, what causes a champagne hangover? What are the symptoms and how can a person prevent aftereffect delivered by the sparkling drink? What are the causes of sparkling wine hangover? 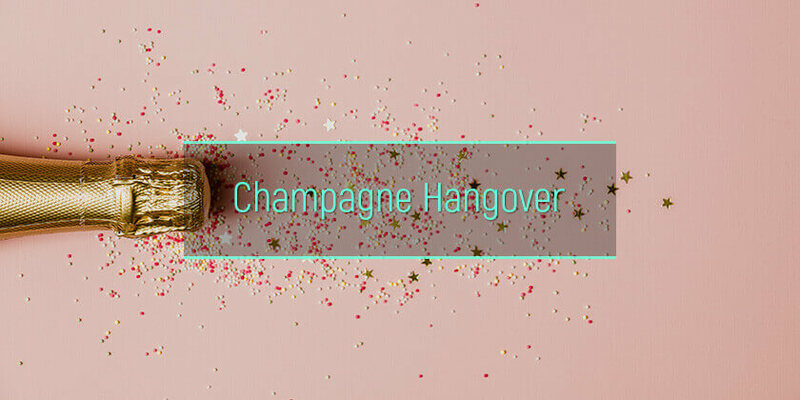 What are the symptoms of a champagne hangover? Do different types of sparkling drinks give different hangovers? How much champagne will cause a hangover? According to pharmacology professor at the University of Colorado, Boris Tabakoff, alcohol in sparkling drinks such as champagne enter the bloodstream faster because of the bubbles (carbon dioxide) it comes with. It is the quicker rate of alcohol absorption that leads to alcohol after effect the next day. Even though the sparkling wine seems to be a bubbly, light drink that is low in alcohol, drinking bubbly leads to the worst aftereffect. However, this is contrary to the belief of some people that champagne doesn’t give a hangover. Generally, hangover results from excessive consumption of alcohol. Bubbly is a carbonated beverage, and this means it contains carbon dioxide. Fermentation is involved during the production of this drink and once the bottle is sealed the molecules of carbon dioxide won’t be able to escape as a gas. The remaining 80 percent escapes through the surface of the liquid invisibly through a process called diffusion. Excess consumption – because bubbly seems to be a sweet and light drink it is easy to drink too much of it and this, in turn, leads to veisalgia. The severity of a veisalgia depends on the type of sparkling wine or alcohol one consumes. On the farther side of that, the different production method, levels of purity, variation in chemical ethanol, and different level of carbonation makes different types of sparkling drinks give different crapulence. Also, extra ingredients such as sugar and other preservatives can cause variations in the level of aftereffect. Sparkling wines with a higher level of trace chemicals such as congeners produced during fermentation are likely to cause an aftereffect than ones with a lower level of the congeners. For example, unlike other drinks like whiskey, there is a less chance of tequila hangover because it contains lesser congeners than other darker spirits. Also, a hangover from white rum is less frequent because they do not contain many congeners. The same works for sparkling wines – thay may have different levels of congeners. According to a study published in a journal in 2007, people who consume an alcoholic drink with a high level of carbonation experiences severe aftereffect. For example, champagne is produced using a traditional method that involves the secondary fermentation of the drink in a bottle. This does not allow the carbon dioxide to escape creating a high level of carbonation which makes a champagne hangover worse. But on the other hand, Prosecco uses a Charmat method of production where the secondary fermentation is done in a tank before it is put in a bottle. This makes it less carbonated compared to bubbly, thereby delivering a minor hangover. Additionally, champagne and wine hangover varies with the amount of sugar in the drink. Sparkling wine with a high rate of sugar tends to cause faster alcohol absorption in the body and also gastric emptying. How Much Sparkling Drink Will Cause A Hangover? Generally, too much of alcohol might cause after effect but can you get a hangover from half a bottle of champagne? There are no lay down rules that tell how much bubbly will cause or not cause a hangover. So, why doesn’t champagne give me a hangover? The response of people to alcohol varies. There are some people that experience a headache after one beer while others might not have such experience even after taking more than one bottle of beer. A person with high tolerance to alcohol may be less susceptible to a champagne hangover, but a person with little tolerance will experience veisalgia even after taking the same amount of sparkling wine. According to a study conducted on twins in Australia, genetic factors are responsible for half of the reason why some people have low susceptibility to an aftereffect. The type of champagne or sparkling wine individual drinks and level of hydration can also be a contributing factor to whether the drink will deliver hangover or not. Additionally, some people like mixing drinks and with the different types of mix drinks available, mixing bubbly with drinks like brandy, dark rum, and red wine can cause high susceptibility to an aftereffect. Also, the after effect may get worse with age due to the declination in the supply of alcohol dehydrogenase which metabolizes alcohol. All the factors mentioned above can also contribute to how long bubbly crapulence lasts. So, how long does a champagne hangover last? Usually, it may last about 24 hours and even more depending on the amount consumed. As previously mentioned, pure champagne has more bubbles which accelerate alcohol assumption in the blood and leads to a champagne bad hangover. Sparkling wine cocktails don’t usually have the number of bubbles present in pure bubbly due to the different other non-alcoholic ingredients mixed with it. However, there can sometimes be an exception where sparkling wine is mixed with alcoholic drinks like vodka or gin. 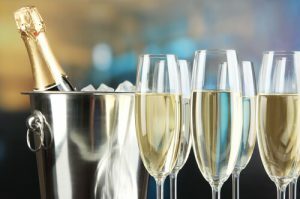 Except for such cases, an individual tends to have less chance of experiencing a hangover after taking sparkling wine cocktails compared to pure champagne. There are no bubbly after effect cures, but there are few prevention and treatments for a hangover. Here are how to prevent a champagne hangover. Moderate drinking or abstaining completely is the best way to avoid or prevent a champagne hangover. Alcohol abuse rehabs provide the comprehensive help to people unable to stay away from alcohol. They offer a wide range of alcohol dependence recovery options tailored to the needs of each patient. However, each program starts with detoxing the body from alcohol.